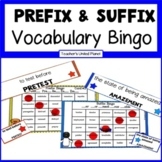 Prefix and Suffix Bingo Activity! 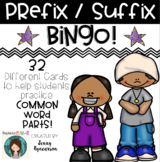 Great IREAD Practice! 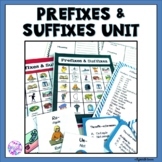 The game includes directions, bingo cards, prefixes-suffixes cards and a recording sheet. 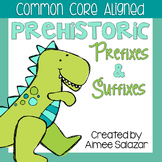 Aligned with CCSS and ELD standards. 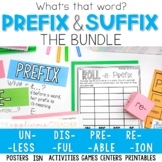 The game was developed for grade 2 ELL students, but can be used for regular ed students in grades 1, 2 or 3 depending on the students' abilities or for reviewing skills. 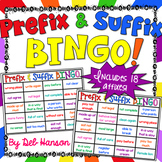 Bingo game that can be used during whole or small group and/or center/station work. 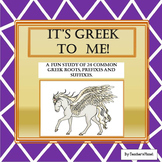 Greek roots, prefixes and suffixes- It's Greek to Me!